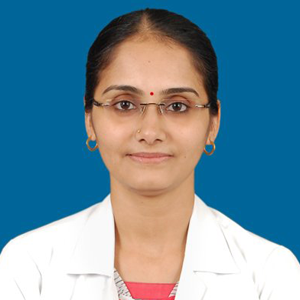 Dr.S.Latha, MBBS, MD – Hariharan Diabetes & Heart Care Hospitals (P) Ltd.
Dr.S.Latha, MBBS, MD ( Anaesthesiology and Critical Care), Diploma in Diabetology, is the full-time Consultant Anaesthesiologist and Critical Care specialist in Hariharan Diabetes and Heart Care Hospitals. She is also the Medical Superintendent of the hospital. She did her MBBS in Madras Medical College in 2001 and MD in Anaesthesiology and Critical care from Sri Ramachandra Medical College in 2005. She has also done Diploma in Diabetology. She had been the best outgoing student since her school and college days. She is the life member of the Indian Medical Association and Indian Society of Anaesthesiologists. She heads the Department of Anaesthesiology and Critical Care Unit of the hospital. She is responsible for maintaining the standards of the Operation theatres and Intensive Care Units as per the quality council norms. She is interested in periodic updating and improvisation of policies and protocols in all departments of the hospital. She conducts teaching and training programs for the nursing and paramedical team to promote awareness on patient safety programs. Her areas of interest include anesthesia for high-risk patients, cardiac anesthesia, Critical care medicine and pain management. Her vision is to promote quality care and a safety culture in patient care.